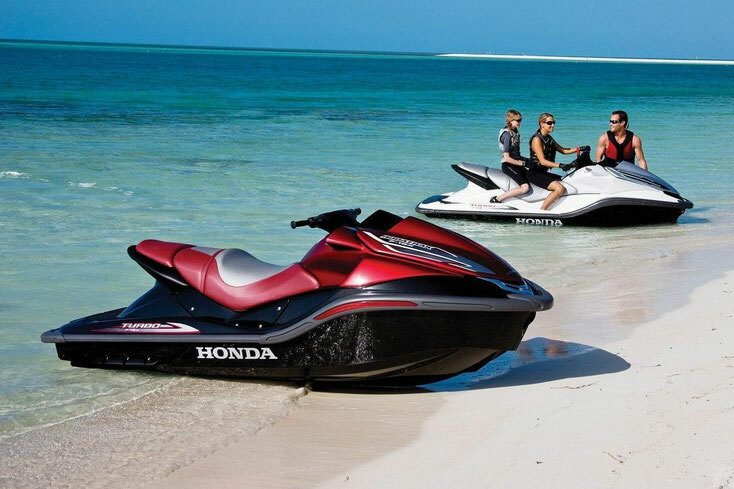 Honda personal watercraft Aquatrax service and owner's manuals free download. Honda Aquatrax ARX1200N3 Service Manual. The Japanese company Honda produced jet skis for many years, until 2009, when interest in the development of this area was completely lost. Manufacturers did not consider the release of jet skis really lucrative, because since the release of the first device they have become not much more popular. At the same time, the production of cars, motorcycles and other equipment yielded many times more profit than the sale of jet skis. It is worth noting that the company managed to release several interesting models of water transport, namely Honda Aquatrax R-12x, which became the most powerful and fastest PWC in the entire history of production - it has 200 horsepower and can accelerate to 104 kilometers per hour. It was Honda engineers who first decided to make a four-stroke jet ski, which allowed them to develop power up to 225 horsepower. In addition, manufacturers for many years engaged in the improvement of manufactured models and gradually increased not only their power, but also technical characteristics. Today, Honda is no longer engaged in the development and production of jet skis, but on the motorcycle markets you can find models that went on sale from 2002 to 2009. Also on sale are all the necessary parts and components that may be needed during vehicle repairs . After that, another pretty good model was released, namely the Honda F-15. The Kawasaki STX and Yamaha VX were the strongest competitors of this model at that time. They were much cheaper, but at the same time not as comfortable and safe as the model offered by Honda. The rather high cost did not allow this model to become popular among lovers of jet skis. The disadvantages that were present in most models of water transport from the manufacturer Honda can be attributed to the lack of steering adjustment, which made the trip in a standing position completely uncomfortable. In addition, manufacturers have not been able to decide exactly which class their equipment belongs to, because it was something between a powerful sports jet ski and the usual model, which was intended for family recreation. This was the main reason that thrill-seekers did not accept jet skis from Honda and preferred other cheaper and more advanced brands.